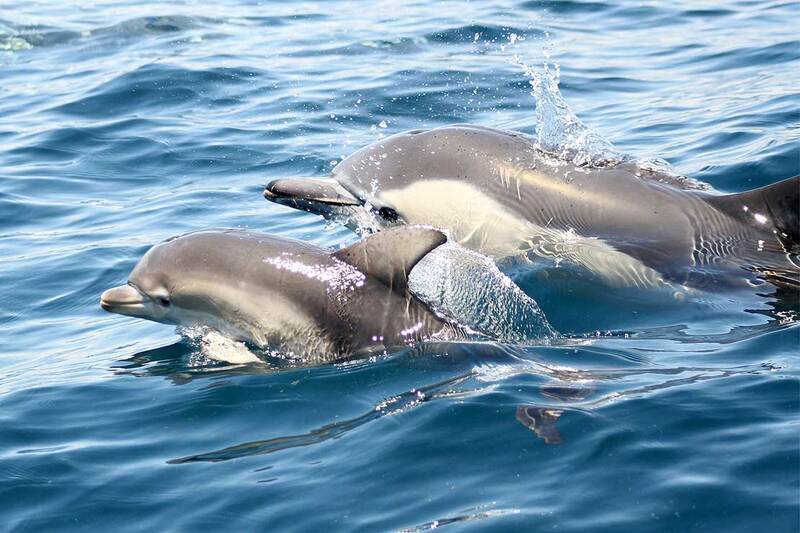 The most extensive spatial mapping of the Hauraki Gulf waters has identified a new area of importance for nationally endangered bottlenose dolphins, as well as demonstrating how these waters are used by two other protected species – common dolphins and Bryde’s whales. The three-year study involved 279 days and almost 21,000km of on-the-water effort by Massey University marine biologist Sarah Dwyer, who used a specialised form of statistical modelling, occupancy modelling, never before applied to marine mammals. Miss Dwyer mapped where and when bottlenose dolphins, common dolphins and Bryde’s whales were in the inner Hauraki Gulf and off the west coast of Great Barrier Island. The project aimed to improve management and conservation of the three species. A PhD student in the Institute of Natural and Mathematical Sciences’ Coastal-Marine Research Group supervised by one of New Zealand's leading cetacean specialists, Dr Karen Stockin, Miss Dwyer was supported by the Auckland branch of the Department of Conservation, which funded the research costs of operating the Massey University vessel used in the study. Any previous spatial mapping conduced by scientists has relied on tourism vessels. Miss Dwyer says this approach is prone to bias because “tour vessels don’t usually cover the wider area or sample in a representative way". Using the dedicated research boat she was able to conduct visual surveys using, among other analytical methods, occupancy modelling – a specialised form of statistical modelling that takes into account the probability of spotting a dolphin or whale. 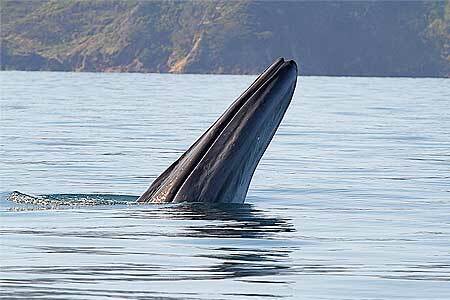 She found common dolphins and Bryde’s whales all year round in the central northern regions of the inner Hauraki Gulf but that the whales’ distribution varied considerably from year to year. There were also differences in how each species used the inner Gulf. 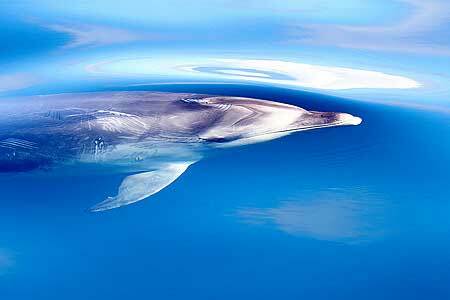 Movement patterns were likely driven by the movements of their prey, such as krill and small schooling fish. She also found that waters off the west coast of Great Barrier Island were important all year round for around 170 individual bottlenose dolphins. Groups averaged 35 individuals in size and most were made up of calves and juveniles. This is significantly larger than the group sizes of dolphins observed in the Bay of Islands, which has groups averaging 10 individuals, with a maximum of 60 in the group. Miss Dwyer says we need to think seriously about conserving the waters and animals of the Hauraki Gulf especially because numbers of bottlenose dolphins in New Zealand’s other major hotspot, the Bay of Islands, are declining. 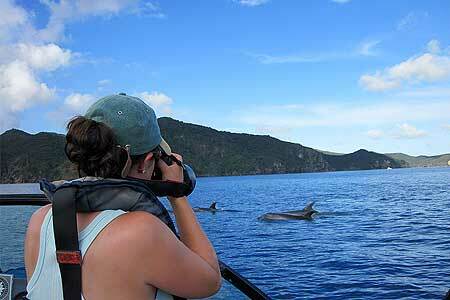 “Until we understand the reasons behind the decline in the Bay of Islands, where commercial tourism levels are high, we need to look after the Great Barrier Island habitat that is used year-round by these large groups of bottlenose dolphins. She hopes the data gathered can be included in a draft plan being developed by the Hauraki Gulf Forum, Ministry for Primary Industries, Department of Conservation, Waikato Regional Council and Auckland Council, to safeguard the Hauraki Gulf using marine spatial planning. The plan, called Sea Change: Tai Timu Tai Pari is due to be completed in September and will be presented to relevant councils and agencies for implementation.